Cooking with Vân : Vietnamese grilled aubergine with minced pork/chicken ( serve 3). .1/2 cup uncooked walnuts/ peanuts and 300 gram ground pork. .1 tea spoon sesame oil. 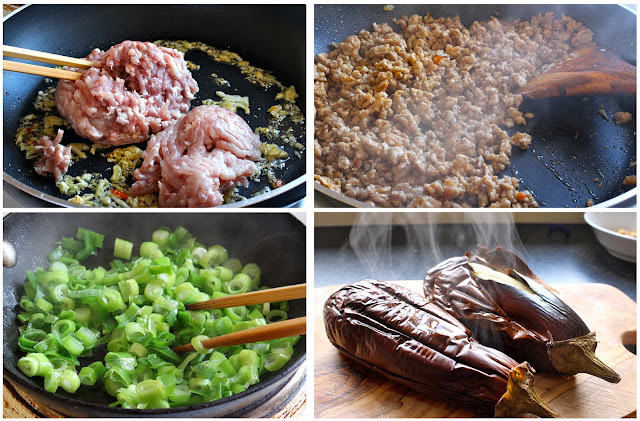 .Heat up the oven to 220 Celsius degree and grill the aubergine for 30 to 45 minutes. 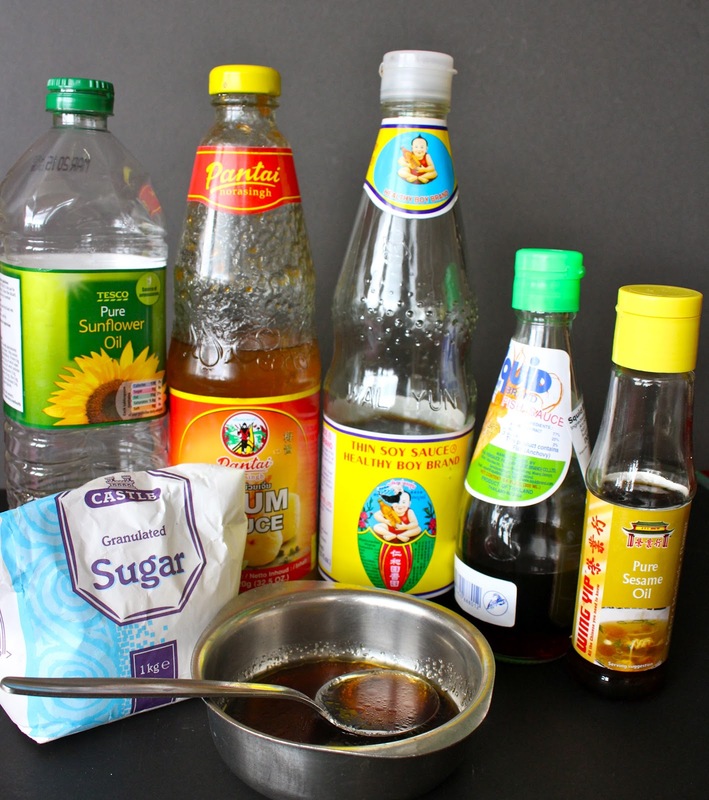 Mean while we prepare the rest of the ingredients. 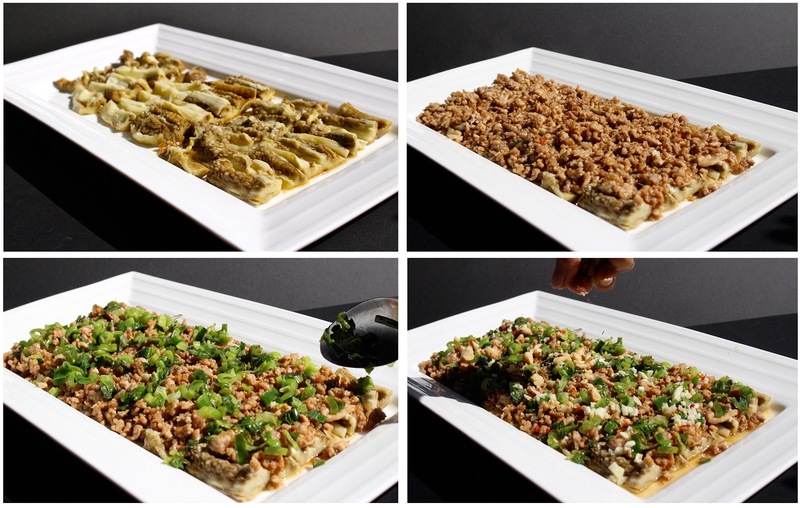 .Place the walnuts in a tray roast it the oven for 4 minutes. .Chop 2 cloves of garlic and 1 chili finely. Keep in a small bowl. .Crush the ginger, garlic, chili finely together. .Cut the lime and extract 3 spoons of juice. 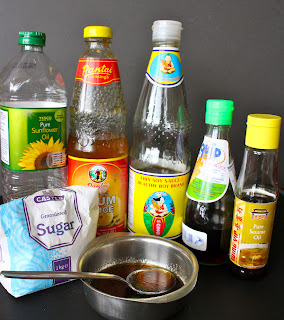 Mix 1 spoon sugar with 3 spoons( normal table spoon) warm water. Stir well. 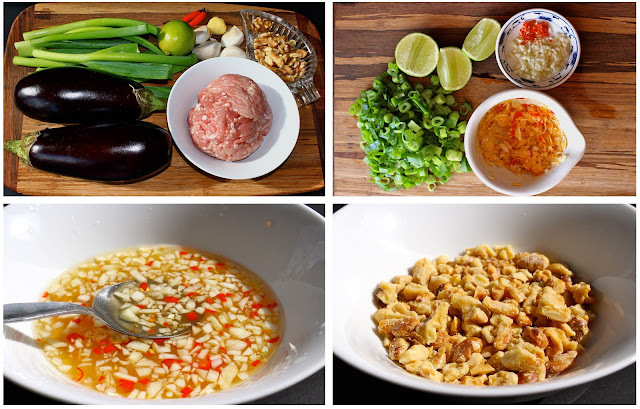 Add in 3 spoons fish sauce, 2 spoons lime juice or vinegar, chopped garlic and chili. Mix well and taste again to suite your liking. It should have nice balance of sweet, sour, salty and slightly spicy. Use a mortar and pestle and mortar to coarse the nuts briefly or you can put the nuts in a salad bag and use a rolling pin to roll over. In a large frying pan heat up 3 spoons cooking oil. Add in the crushed garlic, chili, ginger and fry for 1 minute until golden brown. Add in the ground pork and mix well together. Cook for 2 minutes on high heat, add in seasonings mixture. Sometimes I add in 1 tea spoon dark soy sauce to give it deep dark colour ( optional). Mix well and cook for another 4 to 5 minutes until the pork/chicken absorb all the seasoning and cooked. Put aside. Add 2 spoon cooking oil to a hot frying pan and toss in the chopped scallions. Add a pinch of salt to keep the vibrant green colour. Fry for about 2 minutes on low heat until soft and put aside. After 45 minutes take the aubergines out of the oven. You can see the skin breaks off with the flesh and it it's easy to peel off. .Place them on a serving plate and keep that beautiful sweet juice released from the aubergine. Use a knife to cut them into bite size and spread evenly on the plate. 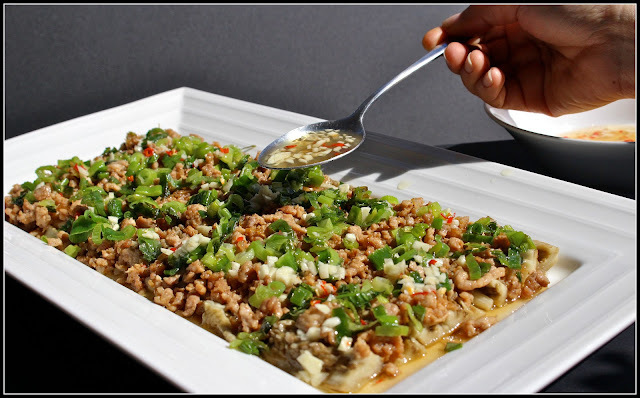 .Top the plate with layers of pork, scallions, dressing and walnuts on top.